Cabot clothbound cheese aging in Vermont on wooden boards. 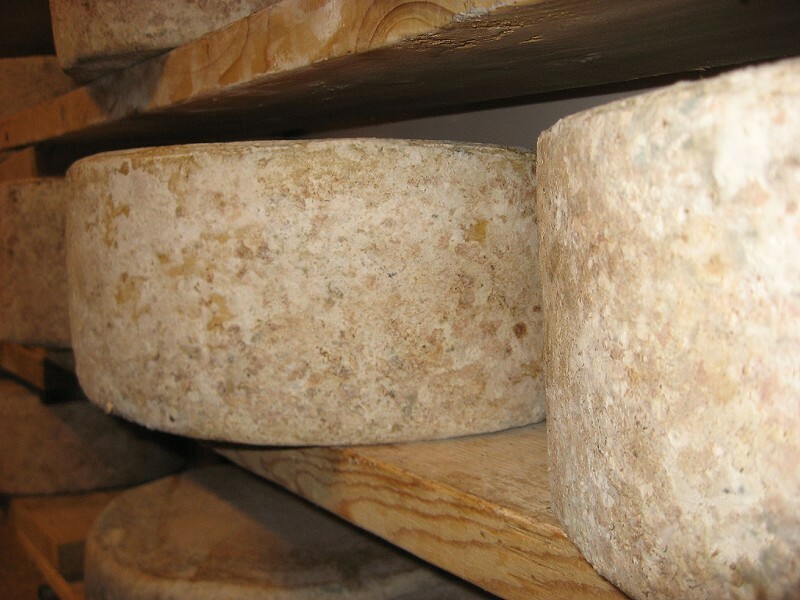 On Saturday, Wisconsin's Cheese Underground blog broke news that the FDA had reinterpreted a food safety law, in effect outlawing the centuries-old practice of aging cheese on wooden boards. The post unleashed a fury in the nation's artisan cheese community, and food bloggers responded in kind, posting articles with gloom-and-doom headlines such as "FDA May Destroy American Artisan Cheese Industry" (Forbes) and "The FDA’s Misguided War on Bacteria That Make Cheese Taste Good" (Slate). If the policy sticks, it could have dire consequences for Vermont's artisan cheese industry, costing small, family-run businesses millions, should they be required to replace wooden aging shelving with stainless steel or another material. But Vermont Congressman Peter Welch says in a phone interview with Seven Days that he plans to put the kibosh on the issue before it impacts local creameries. "We've got to stop this dead in its tracks," he says. "The cheesemakers are rightfully alarmed, and the FDA has issued a statement that creates [a lot of] ambiguity and uncertainty. There's just no reason to ban — or to suggest the possibility of banning — wood boards on which to age cheese." Welch calls the policy "a catastrophic situation in the making ... The reason I say catastrophic is, if you make our artisan cheesemakers get rid of their wood and replace it with stainless steel, [it'll be] enormously expensive." The congressman also foresees consequences extending far beyond the borders of our little state: "This is the mother of all trade wars with Europe. Their cheesemakers use wood [for aging], and they would be prohibited from exporting that cheese to the U.S., and then obviously that would create a retaliatory response. So this is the mother of all dumb ideas, and we've gotta stop it." Tomorrow, Welch plans to introduce an amendment to the Agricultural Appropriations Bill that would effectively handcuff the FDA from enforcing its beleaguered interpretation of the law. The amendment, which would be tacked onto the end of funding bill H.R. 4800 — Agriculture, Rural Development, Food and Drug Administration, and Related Agencies Appropriations Act — reads as follows: "SEC. ll. None of the funds made available by this Act may be used to establish, implement, or enforce any prohibition against aging or ripening cheese on wood under section 110.40 of title 21, Code of Federal Regulations." In plain-speak, Welch's amendment would prohibit the FDA from using federal dollars to keep the cheese off the wood. If Welch is successful in getting the amendment on the bill — and he says he feels confident that he will be, citing broad bipartisan support — the bill will pass through the House tomorrow and then move on to the Senate, before being finalized with a signature from the president. While it's far from final right now, Welch says the amendment is an an important step, "because it would send a very clear message to the FDA that it's time to sober up." Since the story broke, the FDA has offered the following update in a statement sent to Seven Days late this afternoon: "The FDA does not have a new policy banning the use of wooden shelves in cheese-making, nor is there any FSMA [Food Safety Modernization Act] requirement in effect that addresses this issue. Moreover, the FDA has not taken any enforcement action based solely on the use of wooden shelves ... The FDA’s current regulations state that utensils and other surfaces that contact food must be 'adequately cleanable' and properly maintained."